On Friday (and planning for another one today) we actually managed to have a band practice! Setlists were decided and run through, and it must be said that we’re all pretty amped for our show at Mercury on Friday. Yes Mercury. How much is entrance you ask? Oh yes, it’s free. So come. And bring friends. 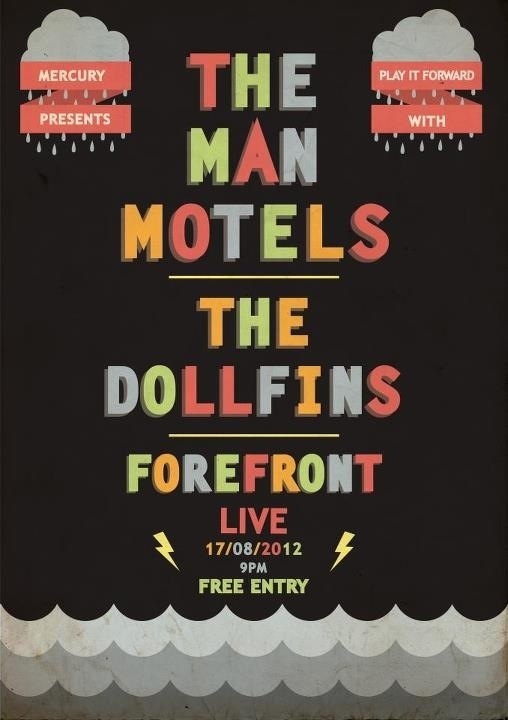 You’ll also be able to check out The Man Motels and The Dollfins on the night. Should be crazy.